How To Separate Eggs | I Wanna Bake! To start, set out your eggs and place your bowls side-by-side. Crack one egg as you would normally (most people do this on the edge of the bowl, but I like to be different and do it on the edge of the counter, which is sharper). The cleaner the break, the better, as rough edges translate into tiny pieces of shell you will have to fish out of the bowl. 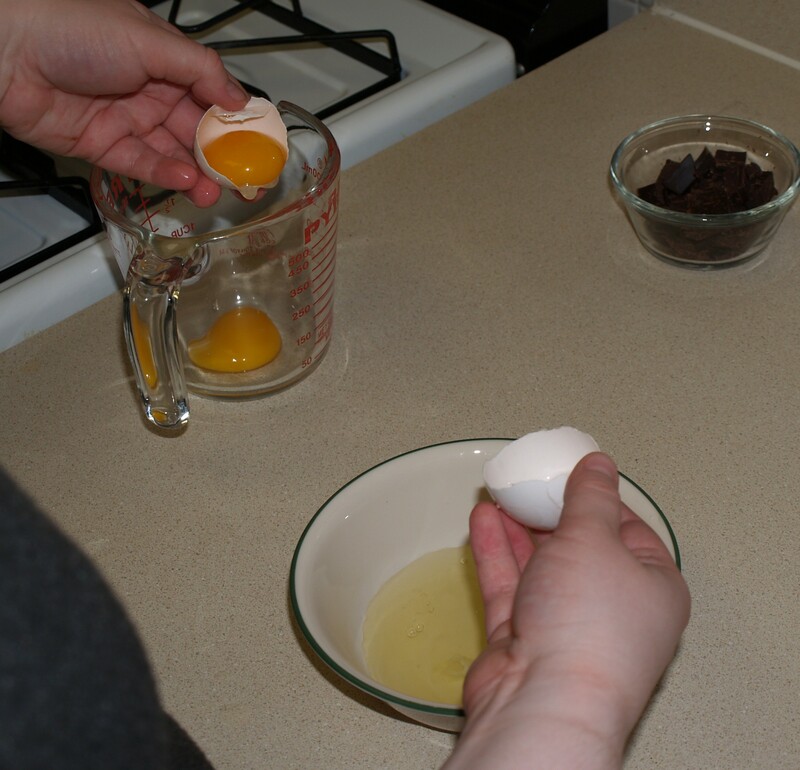 Carefully separate the two halves of the shell over one bowl, making sure not to let the yolk fall out of the shells. 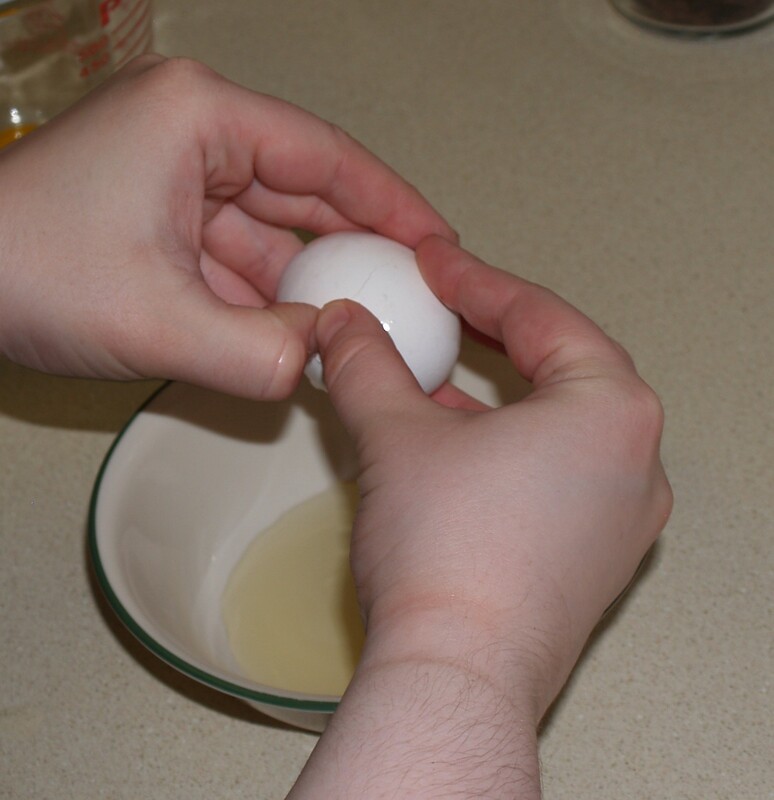 Rotate the shell halves while you do this so the white of the egg slips out into the bowl. 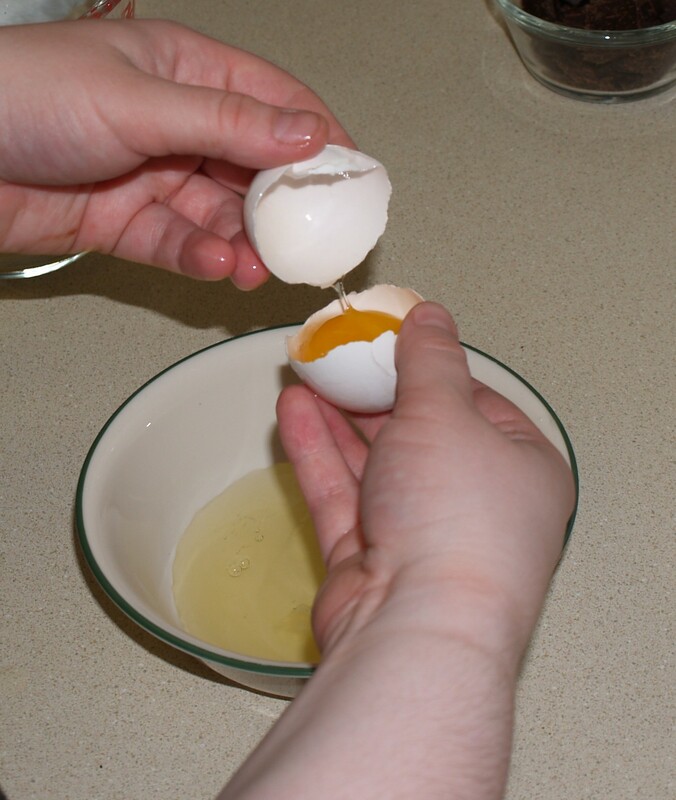 Hold the yolk in one half of the shell. 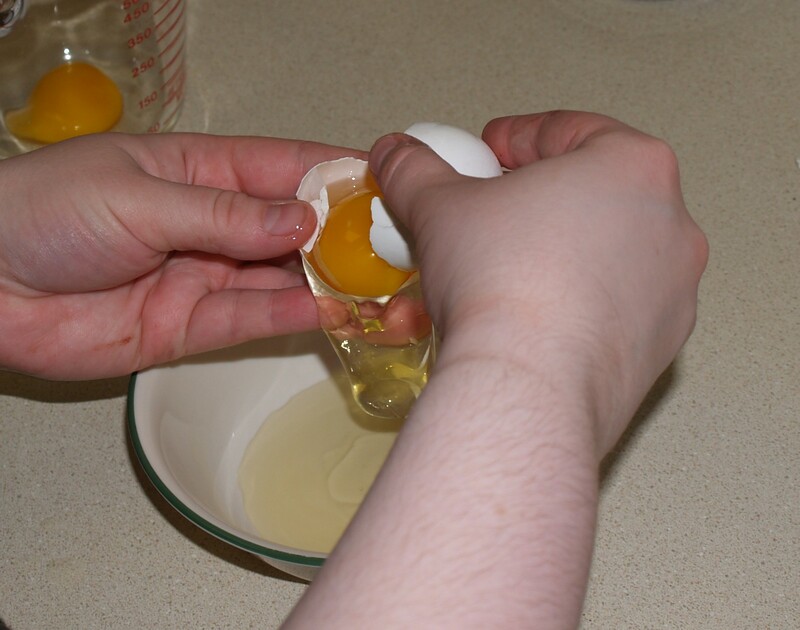 Now transfer the yolk to the other half of the shell, allowing more of the white to drip into the bowl. You may need to gently pull on the white if it is stuck to the yolk or the shell to make it come off. Switch the yolk back and forth between shell halves until you are satisfied that enough egg white has been separated off. When you reach this point, drop the yolk into the second bowl and dispose of the shell. Be careful not to break the yolk on the edge of the shell. 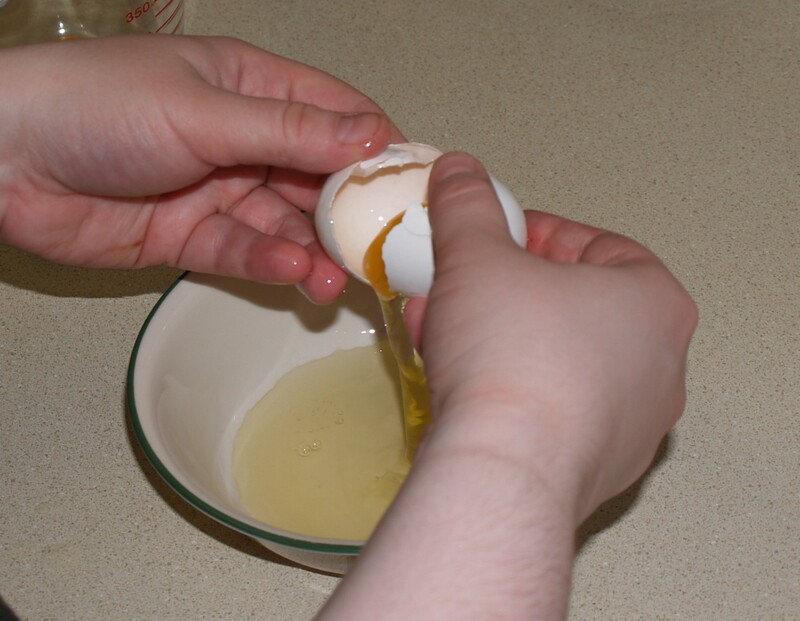 If you see it starting to break and leak, transfer the yolk immediately to the yolk bowl. Continue this process until all eggs are separated. Pick out any shell pieces you might have lost in the bowl (it happens to the best of us, just go fishing and move on). You can save whichever part of the egg you didn’t use for your current recipe for something else. I like to mix in a whole egg to make scrambled eggs the next morning. You can also use leftover whites to make meringue, or egg wash for pies and bread, among other things. Leftover yolks are begging to make custard, cookies, aioli, or any number of other delicious things. Pingback: Chocolate Peanut Butter Banana Cream Pie (a.k.a. Doctor P(ie)) | I Wanna Bake! Pingback: Belmont Jewel Cupcakes | I Wanna Bake! Pingback: Triple Chocolate Brownies with a Secret Ingredient | I Wanna Bake! Pingback: Root Beer Float Meringue Cookies | I Wanna Bake! Pingback: Pumpkin Spice Cutout Cookies | I Wanna Bake! Pingback: New and Improved Strawberry Pie | I Wanna Bake!